Miami Beach Plastic Surgeon, Dr. Rian Maercks, Announces New Procedure: Femma-S Breast Augmentation. The procedure eliminates scarring and provides a more naturalistic apearance. Dr. Rian Maercks is re-making the cosmetic surgery. Dr. Rian Maercks, a top Miami Beach cosmetic surgeon, is pleased to announce a new breast enhancement procedure called the Femma-S (Footprint Elevation Mamodermal Masto-Autoaugmentation with sling support) Breast Augmentation. Dr. Maercks invented this technique in an attempt to improve upon conventional breast lift and breast reduction procedures. The FEMMA-S technique hides all scarring and uses the patient’s own body to support a projecting breast that looks more naturalistic and maintains the appearance of being enhanced rather than reduced. In contrast, traditional augmentation and reduction techniques leave the breast covered in scars and create an unsightly and often unnatural appearance. Dr. Rian Maercks is known for his innovative techniques and unique eye. He models all of his surgeries on the notion that each patient possesses their own natural attributes. He then undertakes techniques that highlight these attributes and provide a holistic notion of beauty that defies age and the usual “plastic surgery look”. 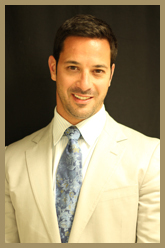 Dr. Maercks is one of the top cosmetic and reconstructive surgeons working in the United Sates today. Based in Miami Beach, he is known for his exceptional technical skill and his revolutionary innovations in beauty and age-defying enhancement. Breast augmentation and other techniques such as face lifts, arm lifts, and tummy tucks are among the specialties offered by Dr. Maercks in Miami Beach. For more information about the FEMMA-S breast augmentation and other procedures visit the official Dr. Rian Maercks website at rianmaercksmd.com and twitter page (#rianmaercksmdpa).